When we were younger, my sister and I used to visit our family in Poland during summer vacation. My grandmas would buy us ice cream bars at the zoo, chocolate and candy at the store, and bacon flavored chips on road trips. They compensated for the junk food by cooking wholesome, healthy meals for us. I wrote down a lot of my grandmas’ recipes back then. 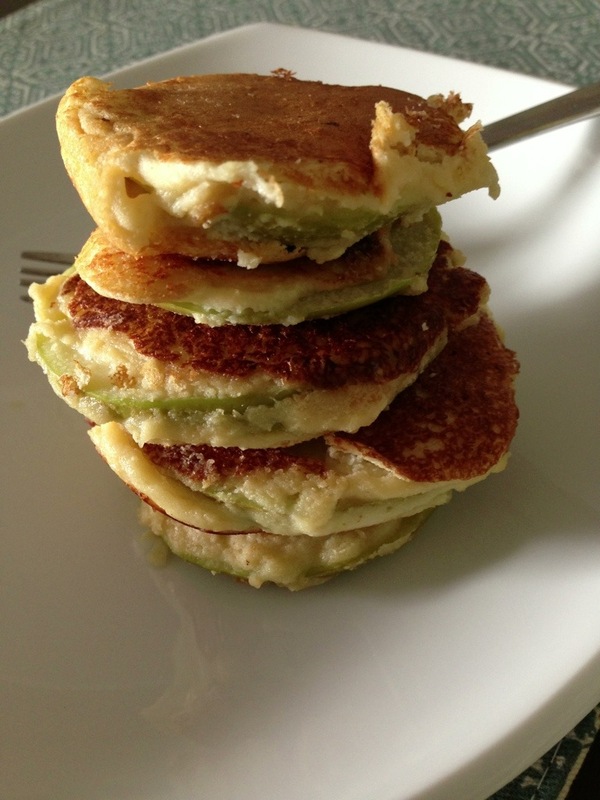 This version of apple pancakes is my gluten free, high protein adaptation of the breakfast she sometimes made for us as kids to make sure we were eating fruit. 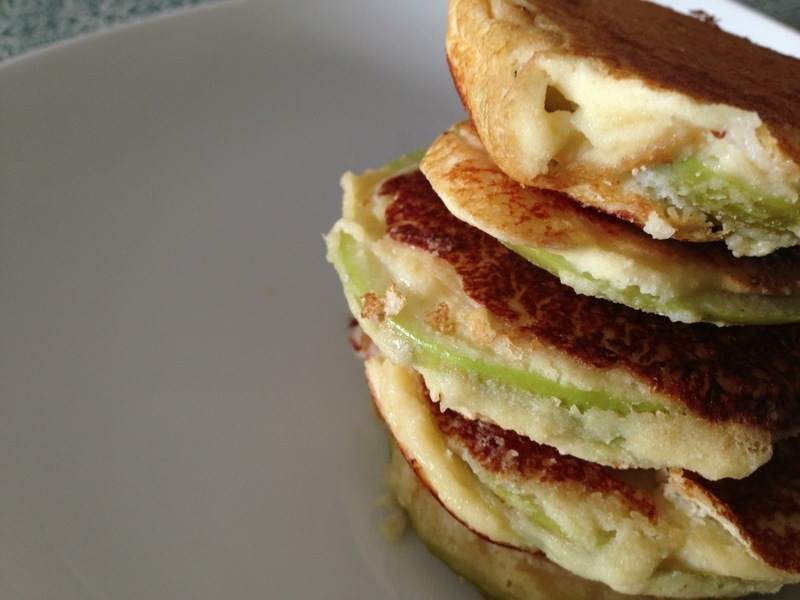 These little pancakes are really just apple slices in disguise! 1. Slice the apples horizontally into 1/4″ thick slices. 2. Combine all remaining ingredients in a mixing bowl and whisk together to make the pancake batter. If it seems too thick, add a little bit more milk. 3. Pat each apple slice dry before dunking in the batter and frying on a lightly greased pan or griddle. 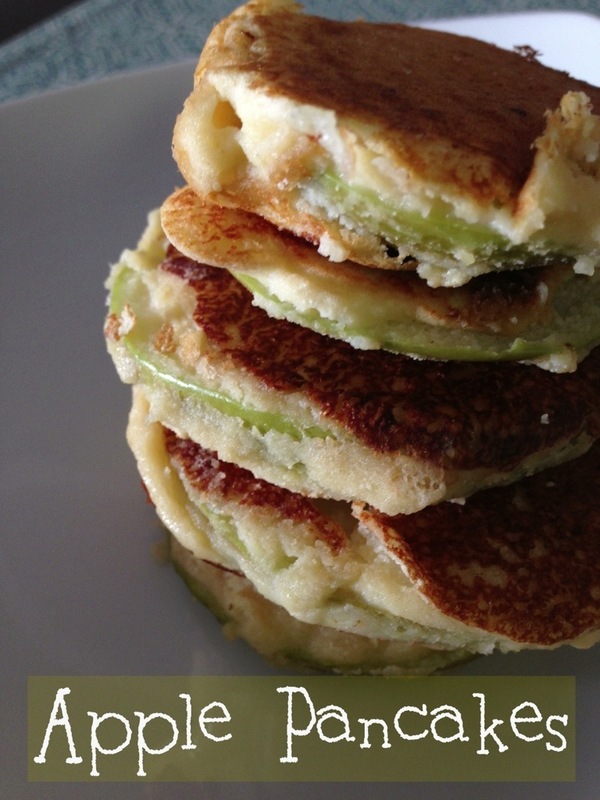 These pancakes are tasty served plain or with a sprinkle of powdered sugar! 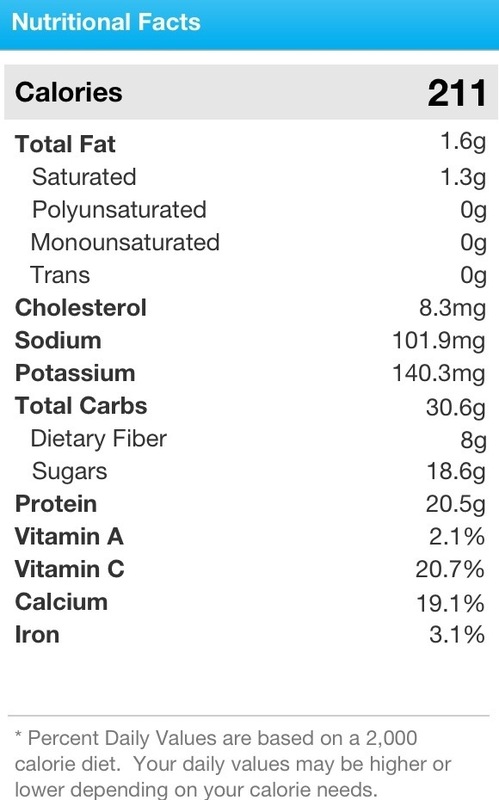 The nutrition info is based on 1/2 the recipe- one whole apple with 1/2 the batter. I used egg whites, nonfat greek yogurt, and skim milk for the calculation.